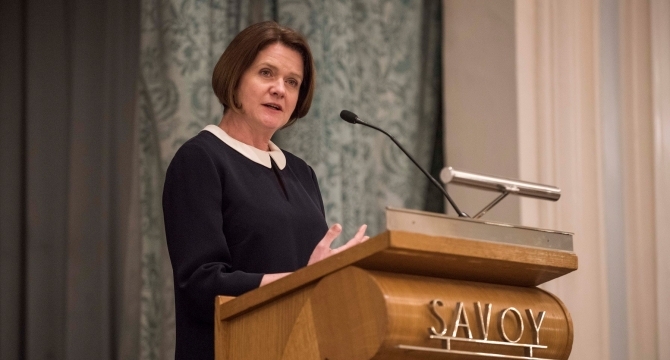 The 2018 calendar of events began with the coveted Savoy lecture and we were delighted to welcome over 200 guests together with our guest speakers; Kate Nicholls, CEO UKHospitality and Simon Townsend, CEO Ei Group plc. Simon gave an insight into Ei Group's significant shift in model and strategy from its origin in tenanted and leased pubs to managed houses. He also explained the genuine opportunities available to sector suppliers and partners and how these can be maximised. Following the merger of ALMR and BHA, Kate set the scene, vision and objectives of the new industry body, UKHospitality, that provides a unified, powerful voice for the dynamic hospitality sector. The evening began in the decadent Ballroom where Kate Nicholls enlightened guests on the agenda for the newly formed trade body; UKHospitality. Combining ALMR (pubs, restaurants and cafes) and the BHA (hotels, restaurants and visitor attractions), has united the industry, giving it a strength and depth of voice. She explained that the UK Hospitality industry can now be represented on a level playing field with the likes of retail and manufacturing, giving the new body the recognition and “grown up” voice that the industry deserves. The group will address issues such as a fair Brexit deal, food supply & security, employment costs and shortages, business tax and tackling digital disruptors. Kate also highlighted that the group will provide a supportive framework to deliver best practice, provide advice and really help the sector to thrive. A large new advisory council together with working groups for each sector will create an informed, up to the minute anchor for the industry and Kate gave an open invitation to guests at the lecture to join the working groups. High business rates, labour shortages and increased costs were raised in the Q&A after Kate’s speech, all of which, she claimed are being tackled head-on. Following the thought-provoking introduction, guests moved to the River room to enjoy a cold glass of Da Luca Prosecco, courtesy of Mathew Clark, canapés, courtesy of Délifrance and some valuable networking and catching-up with colleagues and peers. 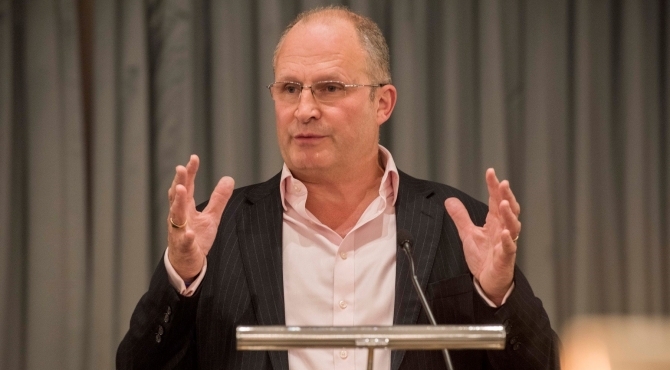 Before enjoying a beautiful three course dinner, guests first enjoyed hearing from Simon Townsend, CEO, EI Group PLC who shared his journey with the Ei Group. These were just some of the words Simon used to describe the new strategy for Ei Group. Having increased the estate from 1,100 pubs in the late 1990s to 9,000 pubs through a series of acquisitions, Simon became COO in 2006, at a time of turmoil. The smoking ban hit, the financial crisis ensued and we entered into full-blown consumer recession. It was a storm that required stabilisation and consolidation. As CEO in 2015, he implemented a new strategy which focused on four businesses under the Ei umbrella; managed houses; joint ventures; commercial properties; tenanted pubs. Judging every site on its merits, the business took on a new structure. It was no longer about fabulous properties and publicans – that wasn’t enough to get customers through the door - but about capitalising on the individual site and the opportunity it presented. So much so, that some sites are now retail spaces. He made it complicated, but it works. Today, the group is on-track to have 375 managed pubs, a similar number of commercial properties (predominantly free-of-tie pubs) and 10-12 joint ventures by September 2018. It’s the largest portfolio manager of pubs in the UK. With so many new outside influences making the home so comfortable, getting the consumer out of the home is the single biggest challenge for the industry, according to Simon. Expectations are high. Attitudes and demands are constantly evolving; authenticity, traceability, sustainability…. The Ei Group puts a lot of emphasis on its suppliers to enhance the customer experience, focuses on skills and careers in hospitality and keeps envrionmental sustainability at the top of its agenda. But the thing that keeps Simon awake at night is what’s round the corner. He knows how important it is for the business to stay one step ahead of the consumer. When asked in the Q&A what is around the corner, he responded with: an even greater level of consumer demand. The overcapacity in the current market is leading to higher expectations and value for money. But, that’s not about discount offers and lower price points; it’s about providing a quality experience that people are prepared to pay for. Consumers are starting to say: “Treat me as an individual and I’ll pay for it”.